Every so often, a picture appears on the internet that is beyond our understanding. Our human minds are not capable of figuring out where it came from or how it came to be. No matter how long we stare at it, it will always confuse the heck out of us. Keep reading if you’d like to see the best cursed images the internet has to offer collected in one place for your twisted viewing pleasure. You’ll see earbuds like you’ve never seen them before, and I bet you’ll never look at Spaghetti-Os the same way again. So Did She Chicken Out? 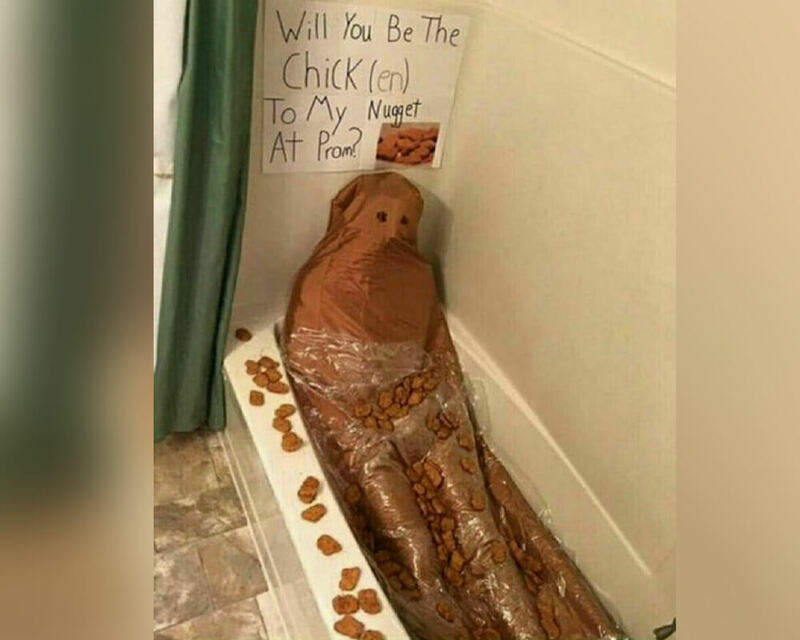 Umm… I’m not sure why anybody thought this would be a good prom-posal. Is he dressed up as a chicken nugget? Is this what teenagers think is romantic nowadays? How far our society has fallen. At least he tried to keep the nuggets clean with the plastic wrap.